It looked like a scene right out of a hit T.V. show: Reporters gathered in anticipation of a star-studded event on the beach, only to notice the rain start to fall and threaten the entire party. But, THEN, just in time for the red carpet procession, the rain stops, the skies clear, and the beautifully-dressed stars appear for an amazing night! After a week full of rain and thunderstorms, the skies were clear for the Hawaii Five-O premiere at Sunset on the Beach in Waikiki. By all accounts, it was a HUGE success, and our own Aloha Bruce was in the middle of all the action. 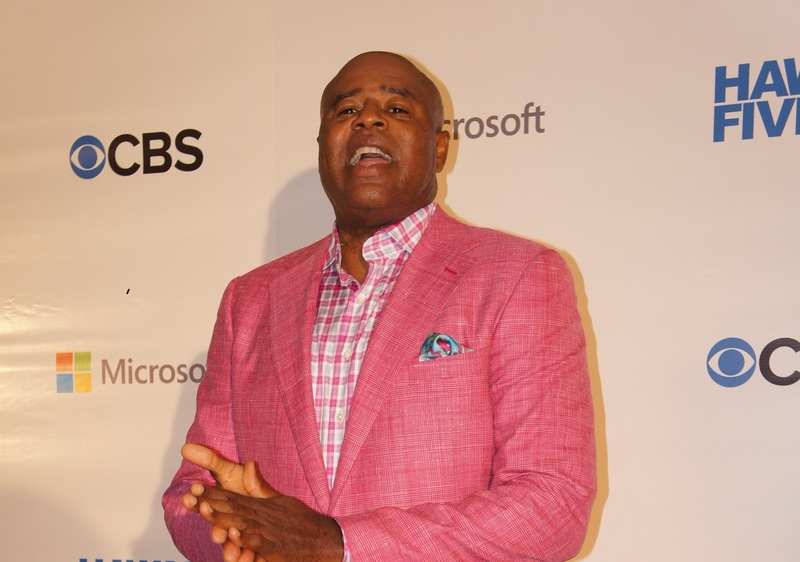 Chi McBride (Capt. Lou Grover) looked dashing in pink during the premiere in Waikiki. When Executive Peter Lankov arrived, he gave reporters a bit of a hint about the upcoming Season Six. He told them the new season is all about relationships. This time around, he said, the characters will continue to evolve, but the show’s writing will focus on the relationships already established and new ones that will form. 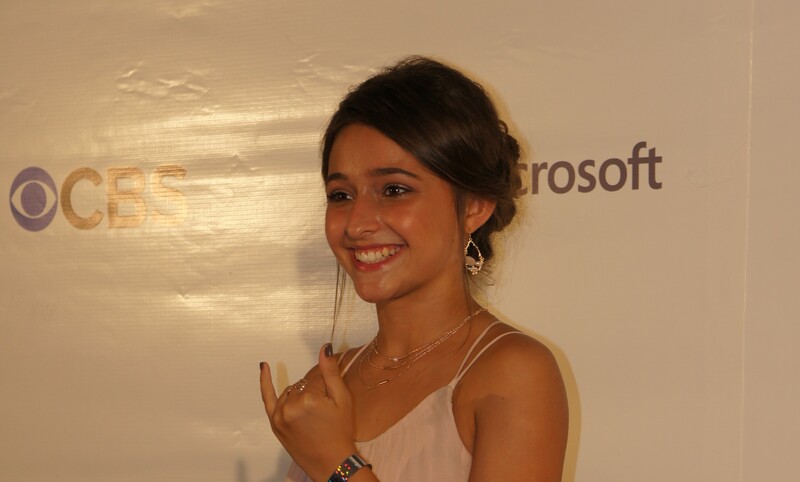 Teilor Grubbs plays Grace Williams in Hawaii Five-O, and she commented about growing up on the show. 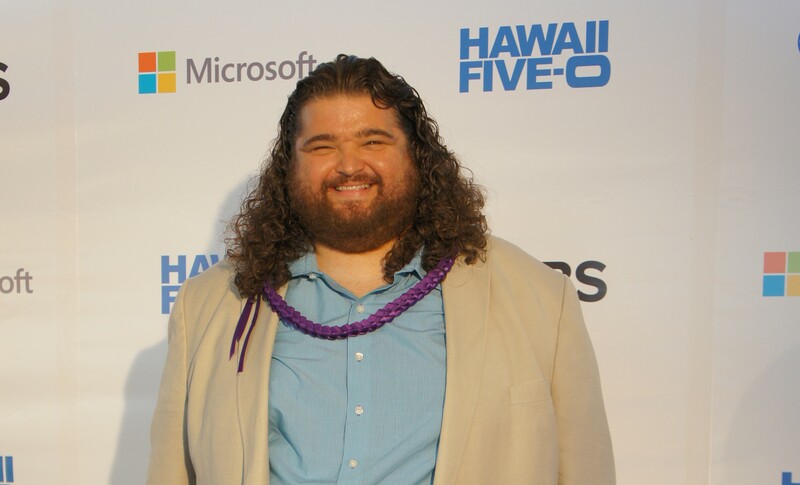 Jorge Garcia is used to Hawaii, as he used to star in Lost before his role as Jerry Ortega in Hawaii Five-O. Sunday, Aloha Bruce and more than 50 superfans of the show went The Ultimate Hawaii Five-O Superfan Tour. The group made stops at several important Hawaii Five-O venues, such as the King Kamhehameha Statue, Kelly’s house, Waikiki, the studio, the Jack Lord Statue, Rachel’s house, Bobby’s Market, Waimanalo (Sherwood Forest), the Department of Defense (Hawaii Five-O Police Department), and the Bayer Estate. During the tour, Amy gave fans tons of information about the behind-the-scenes action and gave them an insider’s perspective on how producers pull the show off every week. For example, did you know nearly all the chase scenes are filmed at night (the crew has to supply enough lights to make it look like “daylight.”)? And, did you know they usually use a highway in Waimanalo for those chase scenes? Overall, premiere night went off went off without a hitch. And, ALL the main cast members were there, proving, once again, they’re glad to be in Hawaii, too!